Carolina’s Cam Newton will not play in the Monday night game against the Bucs after failing the NFL’s concussion protocol. 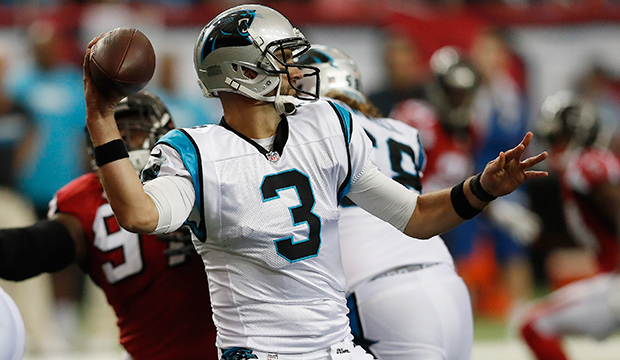 QB Derek Anderson will be filling in for the injured Newton. I wish we could be excited about facing a backup QB but, Anderson has had his share of success against the Bucs. He led the Panthers to two wins in 2014 going a total of 49 for 74 with 3 touchdowns and no picks while picking up the name “BucKiller” from the Buccaneers’ fan base. It’s no secret that the Bucs are riddled with injuries, especially when it comes to the front seven on defense. One silver lining is that the Panthers starting left tackle Michael Oher has been ruled out as well and they’re placing Mike Remmers (formerly on the Bucs practice squad) at left tackle to fill in. Hopefully, that will give the wounded Bucs defense some kind of pass rush. RB Jonathan Stewart and rookie cornerback James Bradberry will also miss the game, leaving Carolina in nearly as bad of shape as the Buccaneers in terms of injuries. Buccaneers and Panthers final injury report. Buccaneers and Panthers injury report from Thursday.